As we head into the ‘holiday’ season, I wanted to get this post up to show how you all can help support my efforts into making this website the best it can be! On the side of the website, you’ll notice a new section ‘Support the site!‘ featuring 6 of the top retailers here in the U.S.. If you are ever purchasing anything from any of those retailers (whether it’s Disney Infinity related or not) be sure to stop here first! If you click on any of those logos, add some items to your cart and proceed to check out. This site will receive a portion of your total sale… at no extra charge to you! Doesn’t matter if you were getting it shipped, or using a function such as in-store pickup! So obviously, heading into the holiday season, where I know a lot of you are planning on getting Disney Infinity merchandise for your family, relatives, or yourself… I’d really appreciate your support! It’s an easy way to ‘donate’ to this site by doing what you already do! Anytime I link to a retailer (wether it’s from the Weekly Sales Roundups or from a new product that pops up), it will automatically have the ‘affiliate’ link, so no extra step is needed! Just go to a blog post, click the product link and continue shopping! So many of you have already ‘donated’ to this site without even knowing it! Now the important part, none of this money is ‘profited’ to me. I never got into making this site to get into profit making. All money raised from the links, ads, etc. is given directly back into the website. That’s what has funded a lot of the giveaways I’ve done on this site! In addition, 2015 should be a big year for this website. 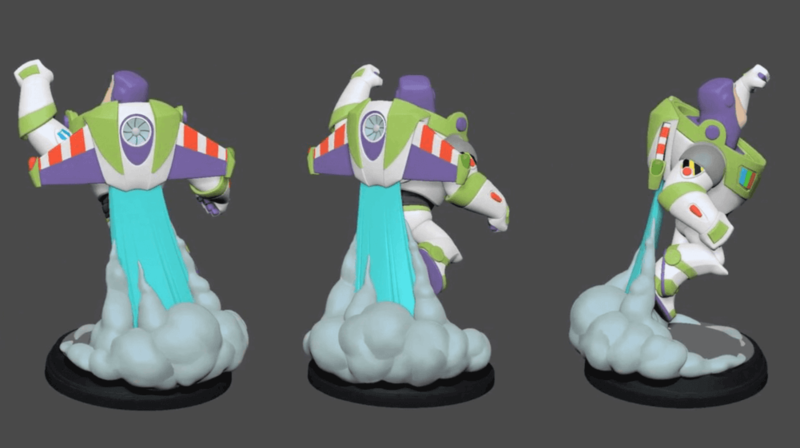 I’m already in the planning phases to make a trip out west to E3 and other trade shows to get you the latest Disney Infinity news directly from the source! So obviously flying from the east coast is not the cheapest thing in the world. So all the funds raised will be put to this site whether it’s with hosting costs, giveaways, travel, or equipment. Everything will be put to help you, the reader!